Rolling out now, the latest Shield Experience Upgrade brings the headlining feature of 4K high dynamic range support to the first generation device. HDR support works with video streaming on services like Amazon Video and Netflix, as well as with GameStream—the feature that lets you stream a game from your GeForce graphics card-equipped PC to your TV. The new update also adds a new Nest app, allowing you to view all your Nest Cams at home. Other notable app additions include NFL, Twitter, Vimeo, and Comedy Central. The underlying OS is also upgraded to Android 7.0 Nougat with support for picture-in-picture in compatible apps, a new settings menu, and a recently used apps page. What the new upgrade doesn’t bring to old Shield devices is the promised smart home hub functions—at least not yet. These features aren’t yet on the second-generation device either so it’s not a suprise. When smart home functionality does roll out the software will support the Zigbee and Z-Wave protocols. Google Assistant—the same software behind Google Home and built into the Pixel smartphone—is also coming to the Shield, allowing for smart home voice control. 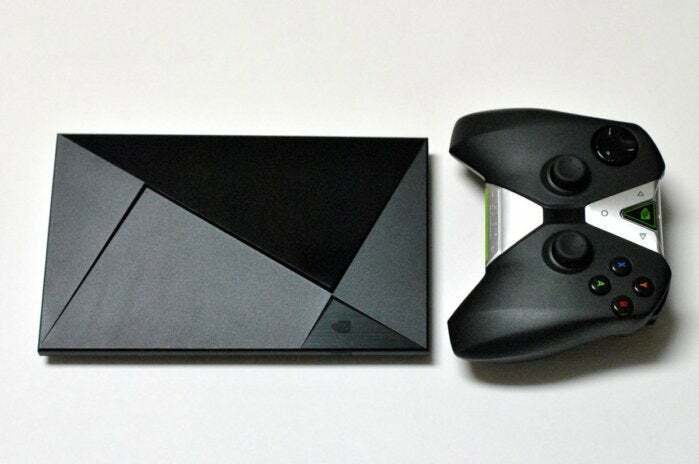 One caveat for original Shield device owners: Those features require an always-on microphone and hence, the new Shield TV controller. Still, spending an extra $60 to bring your machine up to par with its successor is not a bad deal.